So I’m hyping myself up for my future Twingo purchase. I decided on it as my first car, it was either that or a Fiat Seicento or something similar, a 90's small car. I’m gonna pull the trigger this spring when I have some cash. 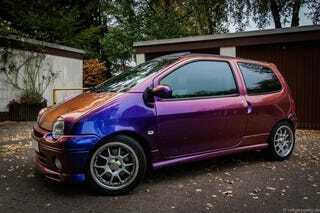 What would you guys do with a Twingo? I’m thinking of cleaning it up, repainting all the plastic bits of trim and maybe getting the JDM YO plastic wheel arches, lowering it a tiny bit and getting a big fat cannon exhaust. It’s disgusting, I know, but I LOVE the way those things look, I can’t help myself.